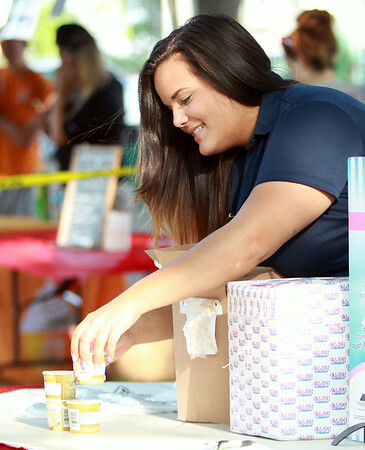 Annie Massad, of Mix 104.1 sets out a few ice cream cups in preparation for the Ice Scream Bowl on Salem Common on Tuesday afternoon. DAVID LE/Staff photo. 8/5/14.